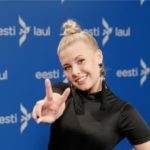 Estonia: The first five finalists of Eesti Laul 2017. The national broadcaster had made a call for submission of songs early September 2016 with a deadline finishing on 1st of November. A special jury afterwards cut the list down to a total of 20 acts that would be divided in two groups , ten artists for each one of the two semi finals to be held. Five artists from each semi final are to qualify for the grand final. After a first round of voting by a special jury and public voting , 4 contestants where qualified to the final. Elina Born, Ivo Linna, Lenna Kuurmaa και Whogaux & Karl-Kristjan were the ones to make it first to the final. The fifth and last one was determined, exclusively by televoting after a final round among the rest 6 artists. The last ticket went to Ariadne who won the public vote on this round of voting. Next week 18/2 the second group of 10 artists will compete in the 2nd semi final and another pack pf 5 artists will qualify to the final that will take place on March 5. 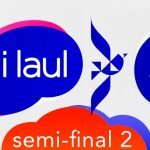 Estonia 2017: Second Semi Final results of Eesti Laul 2017. 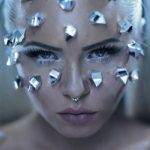 « Poland: The 10 finalist of Krajowe Eliminacje 2017.